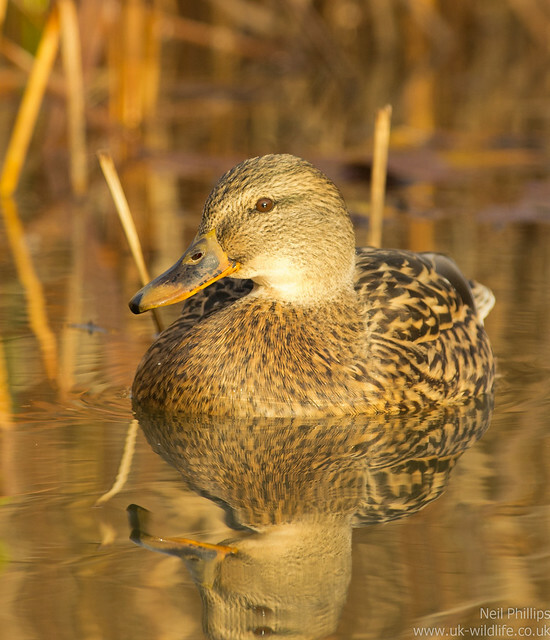 On a quick walk this morning, the first one with sun for a while, I spotted this mallard on a pond. 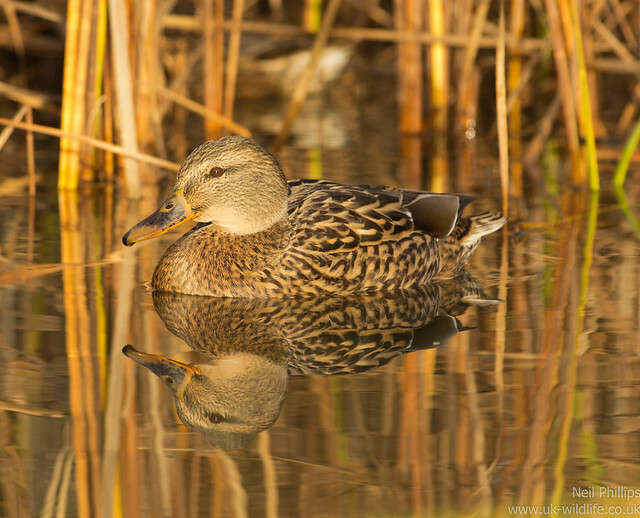 I rather liked the reflection. 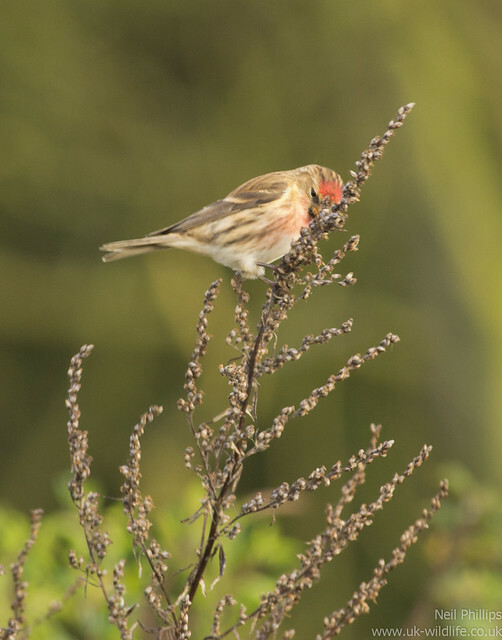 Another nice surprise was a few redpolls, something I had never seen in the park. 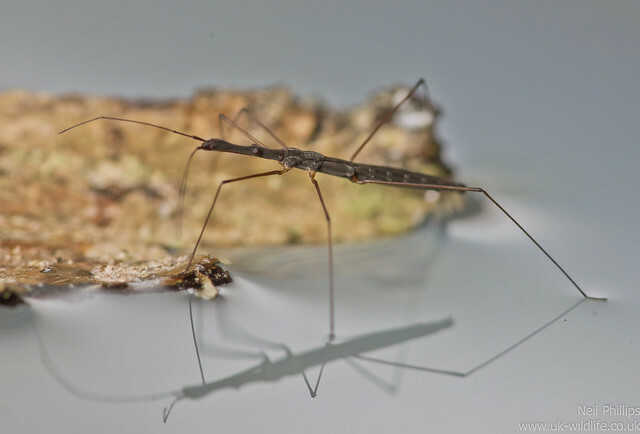 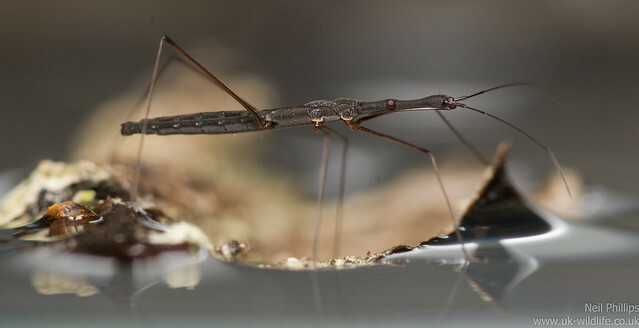 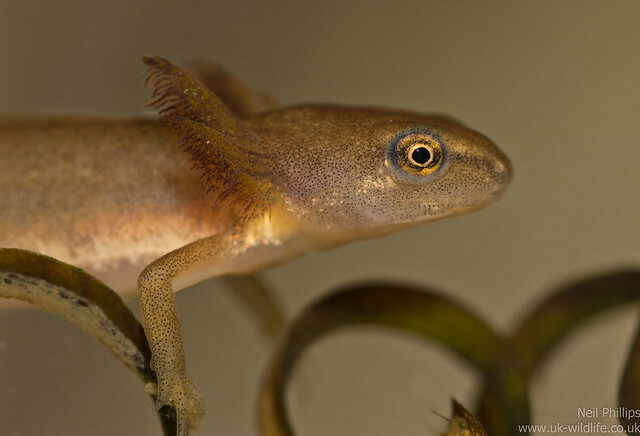 A few recent shot of the pond surface dwelling Water measurer Hydrometra stagnorum. 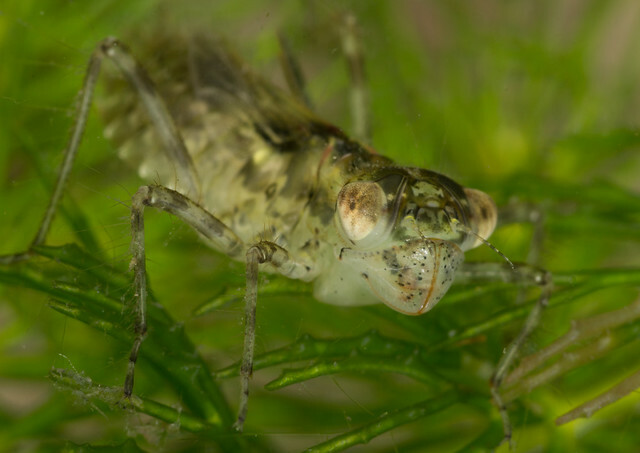 These were taken with my photographic aquarium. 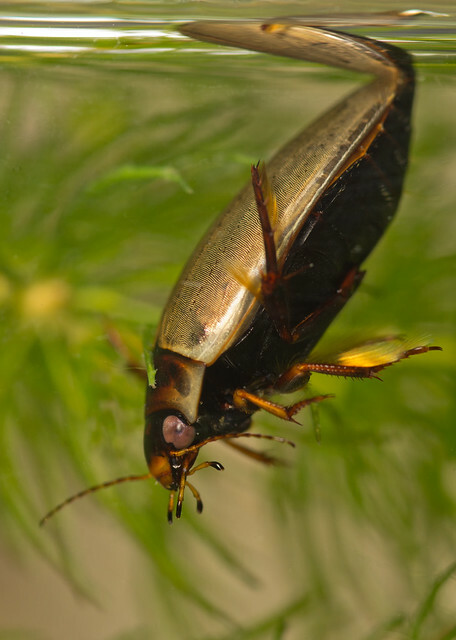 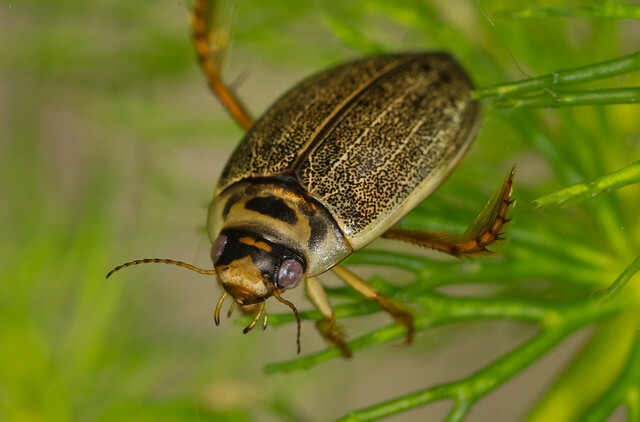 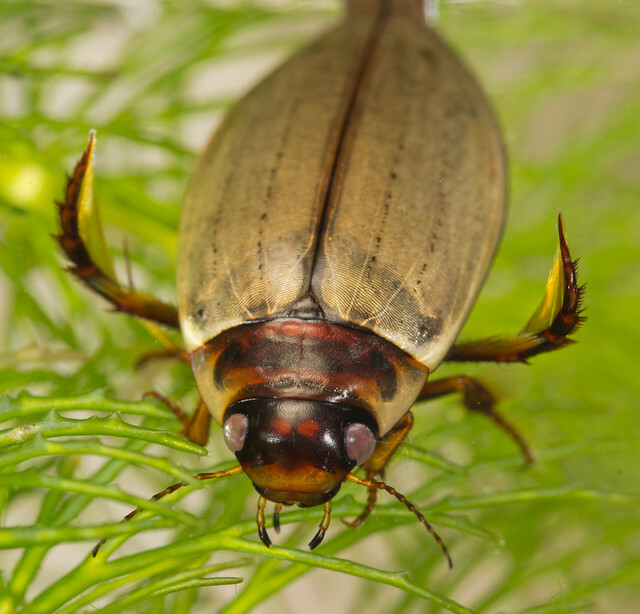 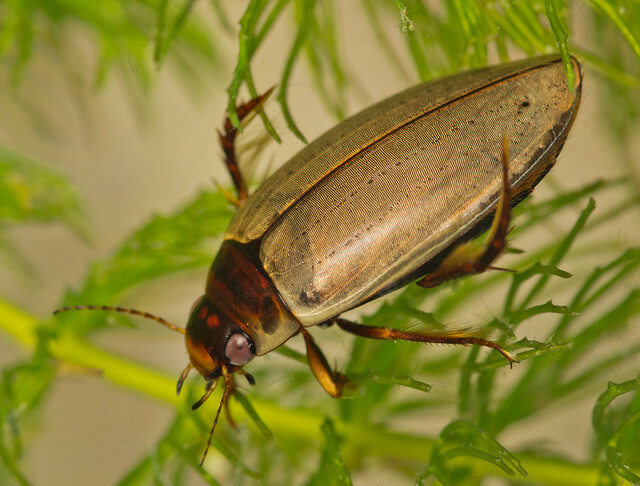 A few shots from July, taken with my photographic aquarium set up, of a couple of medium sized diving beetle species. 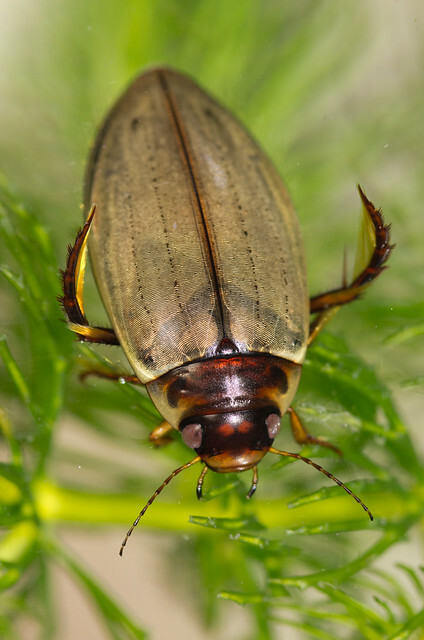 First up Colymbetes fuscus. 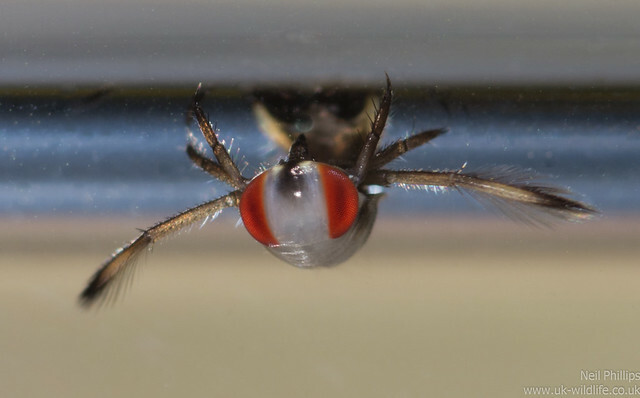 I also photographed this smaller Rhantus sp. 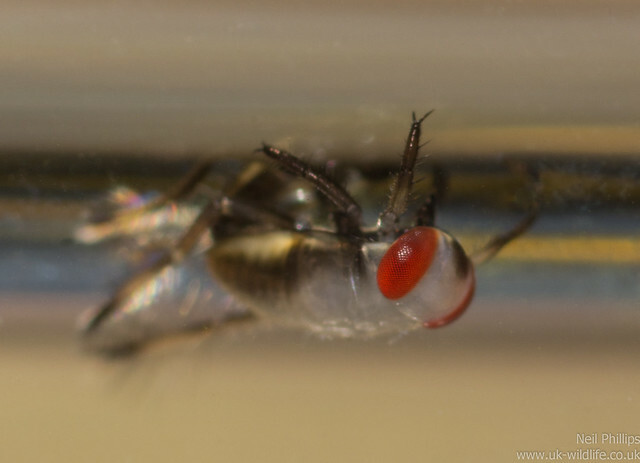 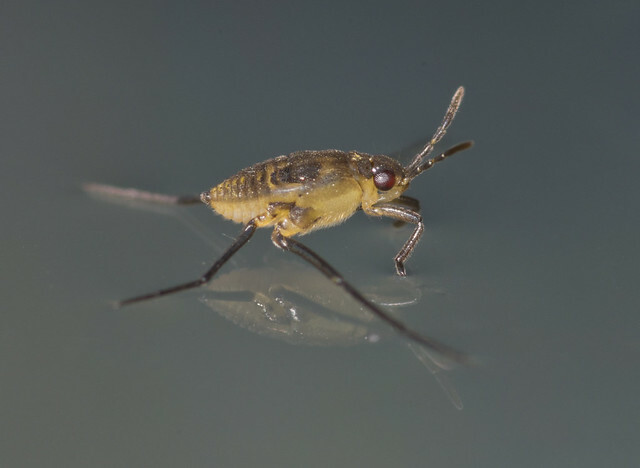 probably Rhantus frontalis. 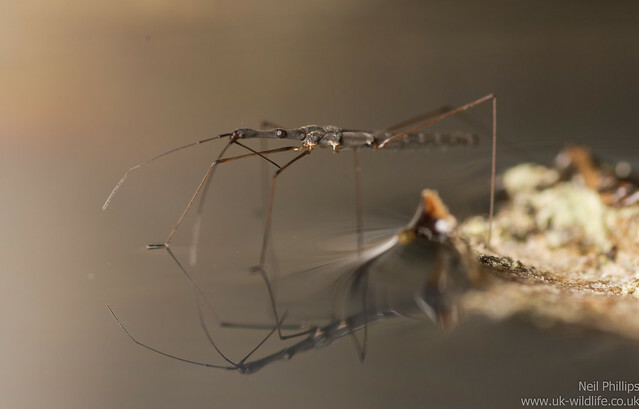 A couple from back in April. 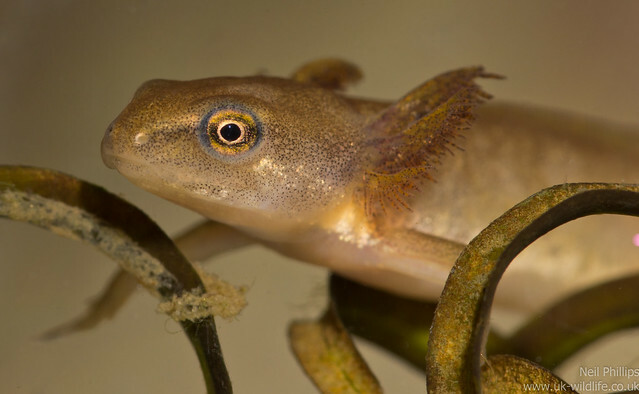 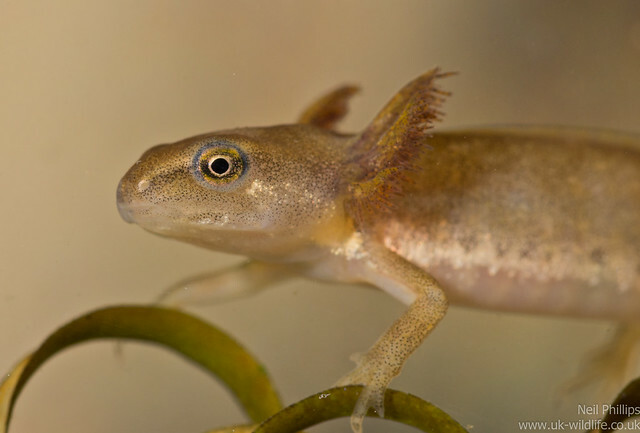 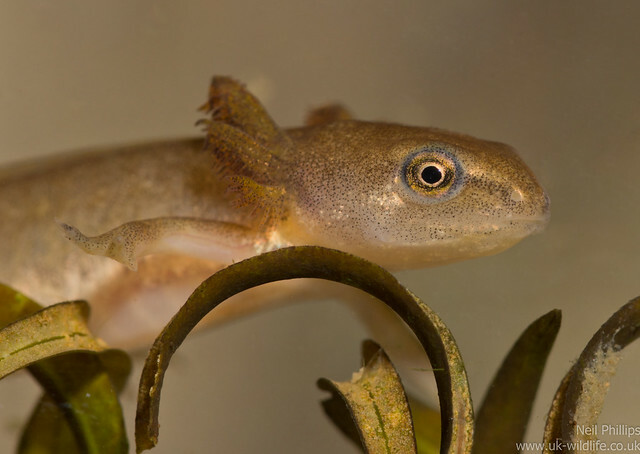 Thus smooth newt tadpole was fully developed so must have overwintered as a tadpole. 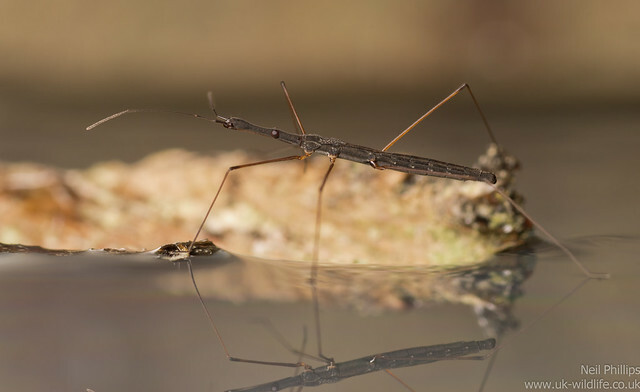 There were also a number of small backswimmer (Notonecta) nymphs. 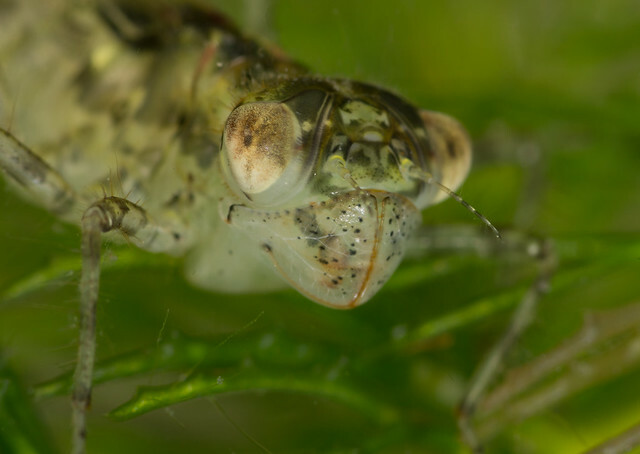 A few more pond creature aquarium photography shots. 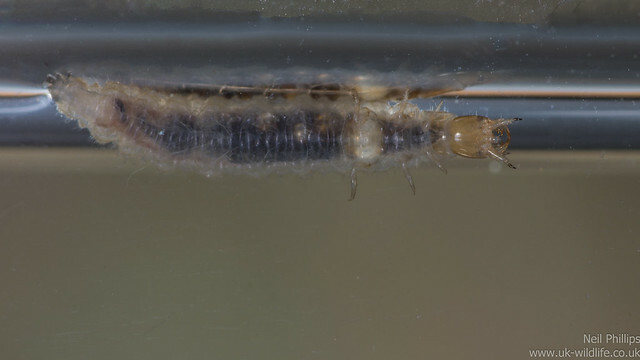 First up this small (1cm) Crawling water beetle (Hydrophilidae) larva. 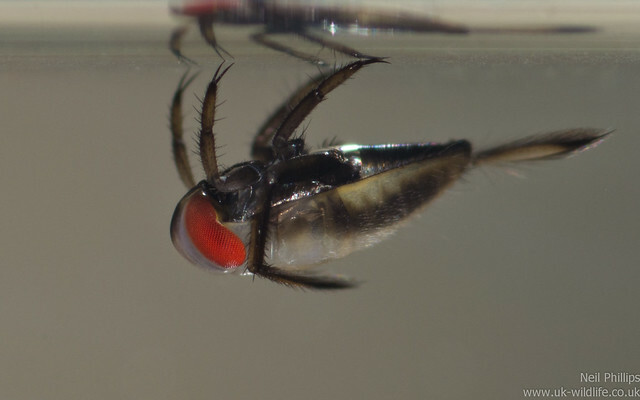 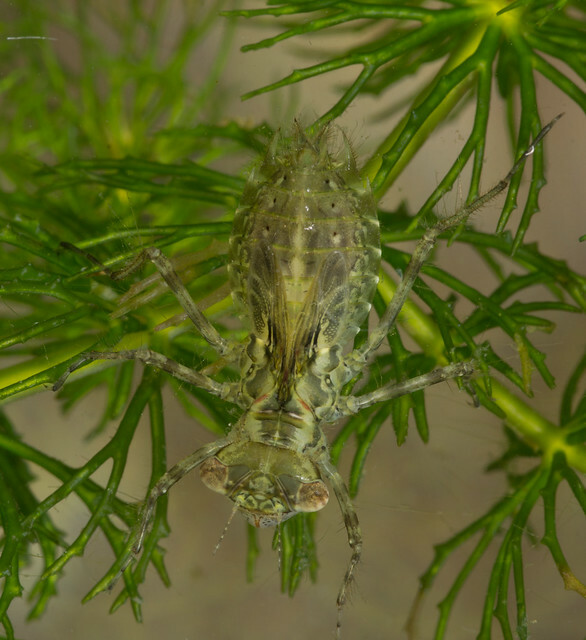 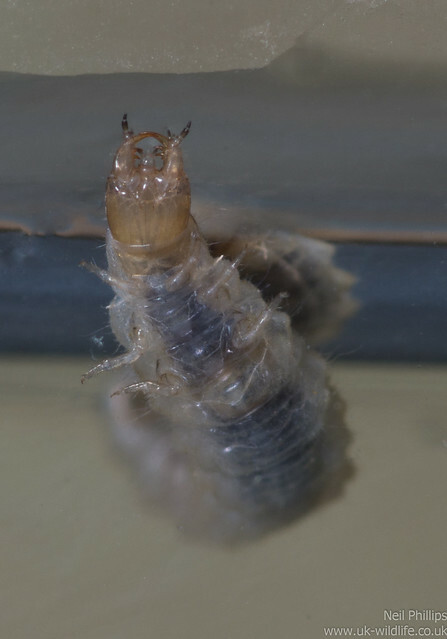 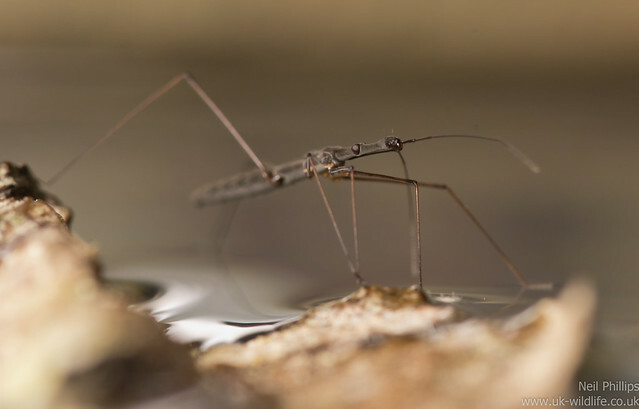 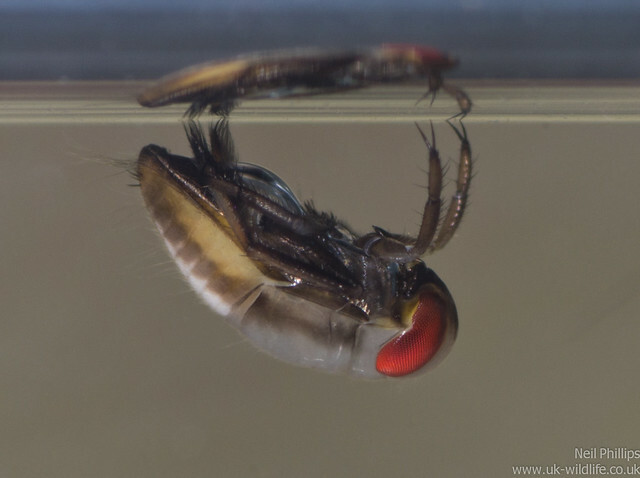 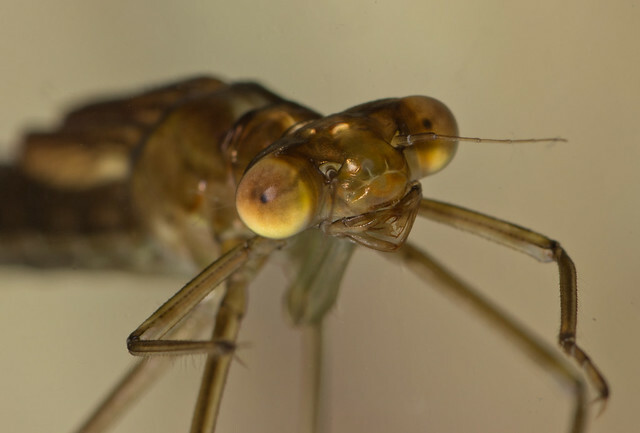 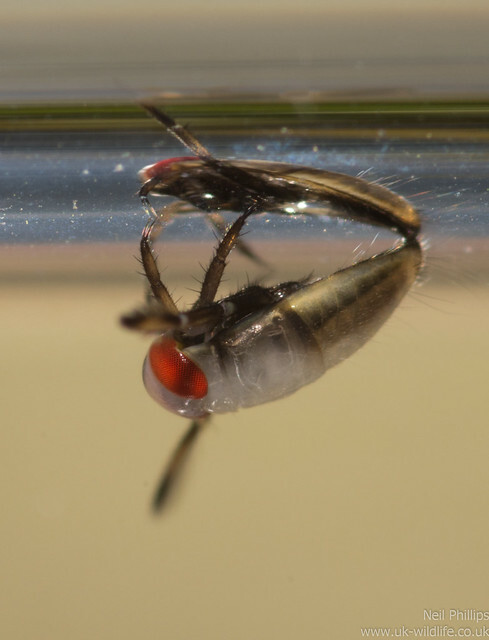 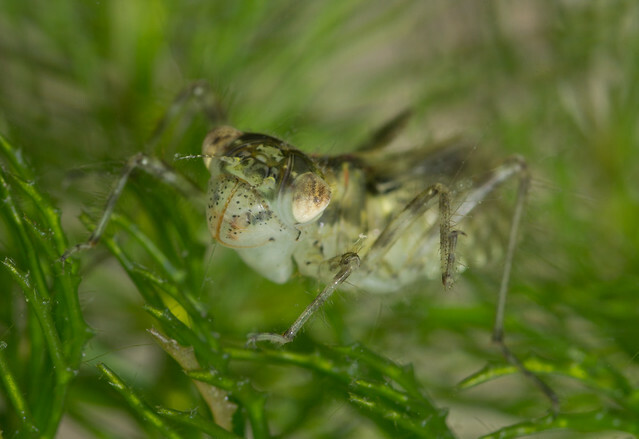 The nymph of a backswimmer. 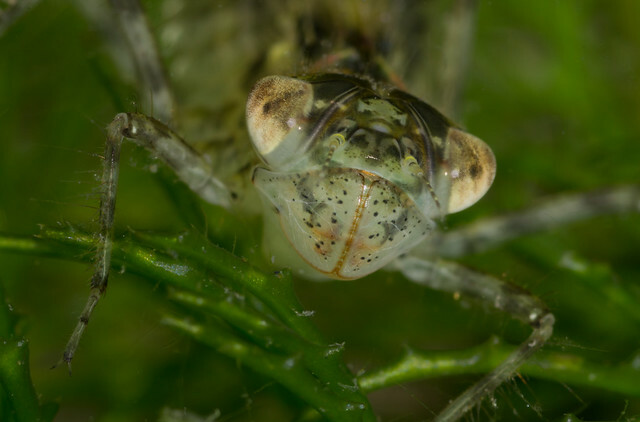 And a close up of a scarce emerald damselfly (Lestes dryas) nymph.